An electric beard trimmer is now a must-have thing for men. Growing an maintaining a beard is not easy and you cannot maintain it without having a good beard trimmer. The trimmer helps you in snipping strays, maintaining a consistent length and nixing the neckline. Beard Trimmers come in a variety of price ranges, and these trimmers differ in build quality and performance. If you are not sure how to buy one, this guide will help you. In this article, I am putting tips for choosing a good Beard Trimmer along with the list of best Beard Trimmers for men. Here are the few important things you need to consider before buying a Beard Trimmer. Charging time: Not all trimmers charge fast and few may take up to 12 hours in full charge. So, you need to check the charging time before selecting one. Charging a trimmer overnight just to use for half an hour doesn’t make sense. Run time: Run time is the time the trimmer can work with a full charge battery. Get a trimmer with a good run time to get an uninterrupted experience. What is if you urgently want to use the trimmer but it is out of battery? If you cannot use the trimmer while it is charging, you need to wait until it charges. If a trimmer can be used while on the charge, it can save your time in such situations. Blades: Blades are important because that will be in contact with your skin. Get a trimmer with a stainless steel blade with non-scratching combs for extra protection and comfort. Precision: The best trimmers offer precision up to 0.5 mm. The locking length settings enable you to log the blades at certain lengths. So, keep these things also in mind before selecting a beard trimmer. After considering all these things, I have selected 5 best beard trimmers for men. 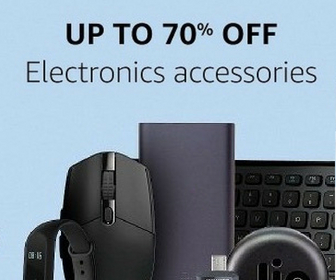 You can buy any of these depending on your budget. Here is the list of best beard trimmers for men. These trimmers for men offer good performance, cord & cordless operation along with good battery performance. Braun Beard Trimmer for men is costly but is more advanced. This one has a beautiful but solid build and hence the cost is on the higher side. 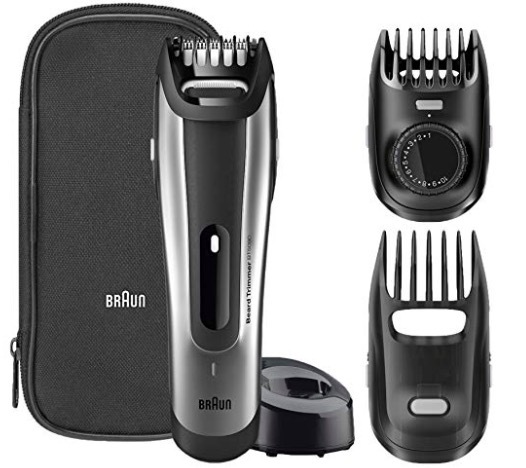 It comes with two detachable trimming combs offering the flexibility you need. The precision comb offers (1-10mm) 0.5mm steps precision. It has ultra sharp stainless steel blades. It is fully washable under the running water. 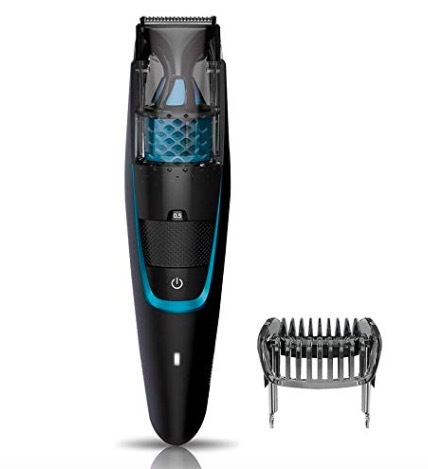 It comes with rechargeable battery that takes 1 hour in full charging and it offers 50 minutes of cordless trimming. You get both corded and cordless operation. 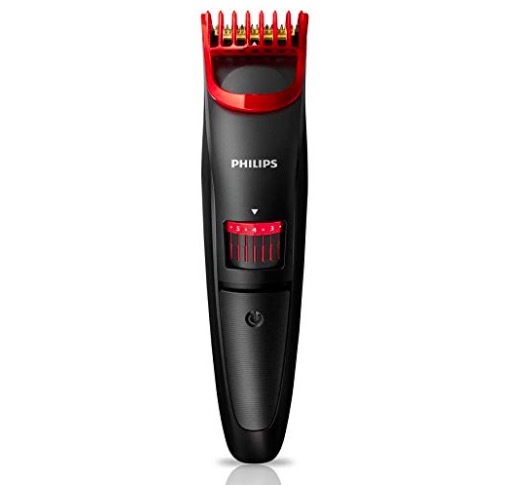 Philips QT4011/15 is a good trimmer offering everything you look for in a Trimmer. It can be used even when it is charging. It takes 1 hour in fully charging and offers 90 minutes of cordless run time. The detachable head makes it easy to clean, but make sure to dry the head before putting it back. It has an ergonomic design that offers a stronger grip and makes it easier to hold. It has Skin-Friendly Performance to prevent irritation. It comes with advanced titanium blades for superior cutting performance. There are 20 different length settings. Turn the wheel to select and lock-in the length settings. It is not waterproof but you can wash the blades. The company also offers a free travel pouch that keeps it safe during traveling. This one is also a good corded & cordless beaded trimmer for Men. It not just looks good but offers good performance. It comes with titanium Coated Blades that are better than steel. The comb attachment lifts and guides the hair to the level of blades for offering even trimming. It has skin friendly blades and the DuraPower technology reduces the friction between the blades. It comes with 21 length settings from 0.5 mm to 10. It comes with durable build quality. It is easy to hold and use. It doesn’t need any oiling for maintenance. It has a rechargeable battery that offers 60 minutes of cordless usage and the battery takes 60 minutes in charge. 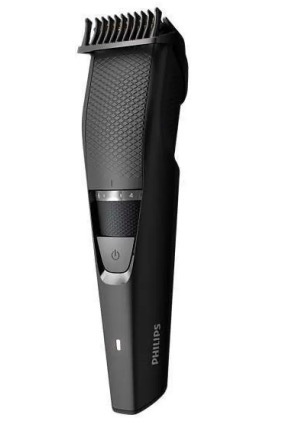 Philips BT7206/15 is also a goof beard trimmer for men. It looks good and performs well. This model also offers both Cordless and Corded operation. It means you can use it even if it is on charge. The trimmer takes 1 hour in full charging and offers 60 minutes of cordless operation. It has an integrated vacuum system that catches cut hair as you go along for offering a mess-free trim. Like the previous Philips trimmer, this one offers skin-friendly performance. It has steel blades along with rounded tips and combs. There are 20 length settings that you can adjust by turning the zoom wheel. 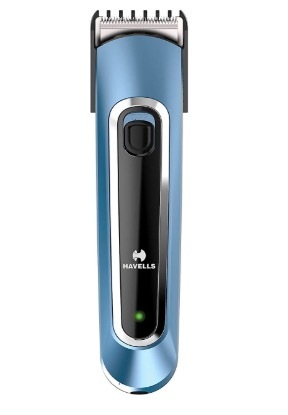 Havells BT6201 is also a good trimmer that can be used as both Corded & Cordless Trimmer. This beard trimmer for men also offers good performance. It has U-shaped hypoallergenic blades that glide smoothly across your skin. It has an Ergonomic Design that looks good and makes it easy to use. It can precisely trim hair as short as 0.5mm. It offers 4 settings. One can detach the head and run it under the running tap water for cleaning. This beard trimmer for men comes with a rechargeable battery. The battery takes 90 minutes in charging and it runs for 90 minutes with a fully charged battery. You can always use it when it is charging. I didn’t make the list of best Beard Trimmers For Men long, just to avoid trimmers with long battery charging time. I included only with less charging time, good run time and value for money trimmers. I also didn’t include bread trimmer of high price. All the beard trimmers for men listed here offer excellent performance and value for money. I personally use Philips QT4011/15 for keeping my beard in shape. If you have any question about beard trimmers, you can leave it in the comments.